A sermon preached at Southminster Presbyterian Church in Boise, Idaho. Today our passages return us to the wandering in the wilderness. Specifically, this Numbers passage is the last, the final time, the Israelites complain in the wilderness. We’ve heard their complaints before. They complain about the bitter water (Exodus 15), about the lack of food (Exodus 16). They complain about being thirsty (Exodus 17). They complain about manna and wish they had meat (Numbers 11). And they complain about the prospect of invading Canaan (Numbers 14). This time, they appear to have gone too far, even for a gracious God, one who is slow to anger and abounding in steadfast love. Because this time, they complain against God. God sends snakes, real snakes. 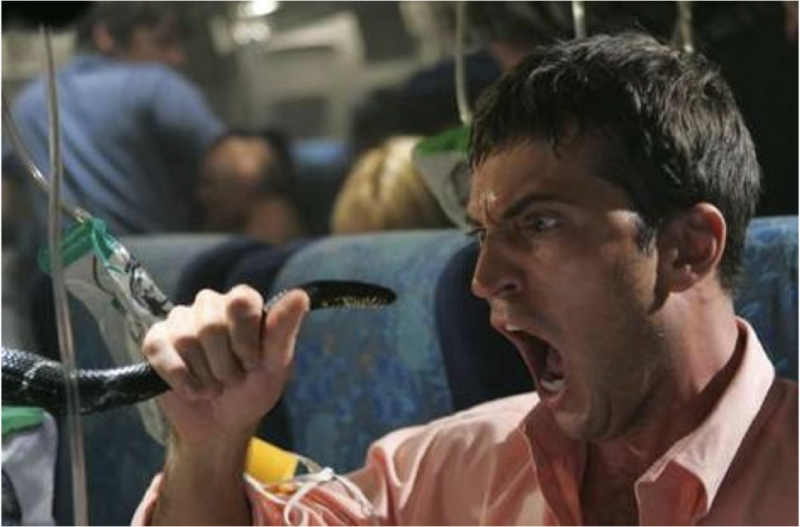 And these snakes kill people. I’d like to find some way to tame this passage down, to make it less scary than this picture, but I can’t. This story should be scary. I don’t think it is a coincidence that God uses the animal that scares us most to scare us straight. And it seems to work for the Hebrew people as well. They repent and beg Moses, asking him to intercede on their behalf to their God, against whom they had sinned. And let’s be clear about their sin. What got them in so much trouble was not that they lifted up their disappointments to God. It is that they didn’t trust God. “Why have you brought us up out of Egypt to die in the wilderness?”, they complained. They didn’t believe in God’s promises of LIFE. The whole wilderness experience for the Hebrew people wasn’t about getting the people to believe certain beliefs or doctrines about God. It was about getting them to trust that God would lead them to life in a new land, as God had promised. Trusting in the promises of God. It seems like that should be so easy, doesn’t it? Yet, we live our lives as if we trust in anything but God. 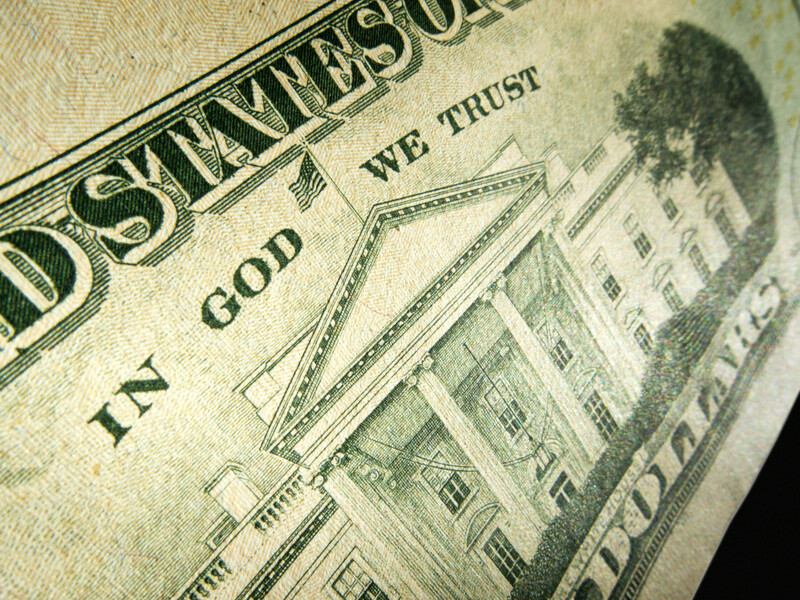 We trust in country—even though our country’s motto, written on our money, is “In God we Trust”. Where do you place your trust instead of in God? The implications of this are huge for us as community. Because if we don’t trust God, who created us and loves us, how can we trust our neighbors? And as we look at the world around us, we see a lot of behavior, often being enacted into law, that reveals how big our lack of trust issues are. All of these weird laws in discussion right now about who-can-marry-who and who-can-use-which-bathroom all reveal our fear of the other, our lack of trust in a God who is leading us to a future with hope. More violence in the St Louis suburb of Ferguson this past week is sadly just one more example of what it looks like when trust in your neighbors breaks down and erodes. When we don’t trust that God is leading us, how can we trust our neighbors? We look to the wrong things for salvation and we end up with snakes. In Numbers, the killer serpents lead the people to repentance. I don’t know how many of you remember the 10 Commandments, but number one is to have no other Gods and number two is “you shall not make for yourself an idol”. Luckily for the Hebrew people, Moses obeyed God and made a serpent of bronze and put it on a pole. And whenever a serpent bit someone, the person would look at the serpent of bronze and live. Notice God did not just get rid of the snakes. The dangers of the world were still there with them. God took a symbol of fear and death and turned it into a symbol of life. Once the people have repented of their sin and turned again to trust in God, the thing that had been killing them becomes the thing that saves them. So the chronicler of Hezekiah is making this report to let us know about what a good King Hezekiah was, but what I find interesting about this passage is that it shows that not only did Moses make this serpent, but that it worked, because people were still praying to it centuries later. If the people believed that the bronze serpent, and not God, was the agent of their healing, then Hezekiah was right to destroy it. Whenever we mistake the signs and symbols for God, and we begin to worship the signs and symbols, instead of God, then we have made idols. Take the sign and symbol of the Bible. Sometimes people seem to take the Bible so literally, it appears they are worshiping the book instead of the God who is revealed in the book. We saw that a lot this year during the Add the Words testimony. There were a number of people clutching their bibles as they stood and testified. They claimed the God of love was calling them to be exclusionary, and to leave Idaho’s vulnerable people even more vulnerable and at risk. They claimed the Bible was the most important thing to them in the world. Upon reflection, I realized they were right. The Bible was the most important thing to them—and was far more important than the God revealed in its pages—the God who calls us to care for each other, to protect the vulnerable, and to welcome each other as neighbors. I love my bible, don’t get me wrong. So, we’re reminded not to turn snakes, or bibles, or anything else, into idols. And so we move toward the story in John’s gospel, where the connection is made between Moses lifting up the serpent in the wilderness to bring life from death, to the person of Jesus, who is lifted up on a cross to bring eternal life from death. I get why the lectionary people assigned these two texts together in the lectionary. It is good and normal for us to make connections between them. I just want to make sure we understand that Moses was not thinking about Jesus when he lifted up the serpent for the people. While we, as Christians, see the Numbers text in light of Jesus, the Hebrew people didn’t need Jesus in order to interpret it. John’s gospel has some different themes, or different emphases, perhaps, then do the other gospels. One of them is the theme of being “lifted up”. Jesus often refers to the Son of Man being lifted up. On one level, he’s referring to the cross event, of his literally being lifted up onto a cross. On another level, it means being lifted up as being exalted, a sign of God’s glory, of death being turned into life. And there’s also the sense of his being lifted up to heaven. Just as the Hebrew people can’t be saved from the danger of the snakes—remember God doesn’t take the snakes away—so too we cannot be saved without the experience of the cross. There is no exaltation without the crucifixion in John’s gospel. So this passage from Numbers is brought in to reinforce for John’s community how God, in the past, had lifted up something to bring life to God’s people. They can recognize the healing power of God in the lifting up of Christ. John’s gospel, and this passage in particular, is often used to argue that our salvation largely rests on our choice. On our decision to choose Jesus. And that is a part of this passage. There is a sense in John’s gospel that we do need to respond to the truth that “God so loved the world that God gave the only son”. But our response to the grace that has saved us shouldn’t diminish the gift. The exaltation of Christ on the cross that turns into the glory of the resurrection should not be reduced to only being something in our possession. So, we leave it to God to figure out how that saving works. That is way beyond our pay grade. We are not called to save. We are called to believe. And we get busy, once we believe, creating a community where God’s love is abundant and available, lifted up for all to see. What are we lifting up? Are we lifting up things that lead to repentance and to life and healing? Are we lifting up Christ, living into deeper discipleship and faith? We are mid way through this Lenten journey. As we continue this journey to the cross, to our salvation, to the transformation of death into life, we are given this reminder of what to lift up. We aren’t a social club, even if we enjoy each other’s presence socially. We aren’t even a service club, no matter how helpful our presence may be in the community. We are called to be a glimpse of God’s kingdom, lifted up for the community to see. I’m appreciative of this Lenten reminder to be intentional about what we are lifting up for the world to see. Are we offering up idols, only of value in service to themselves? Are we offering up only fun and companionship, only in service to ourselves? Or are we offering up Christ, letting the world see faith in resurrection and hope in new life? How can we help each other live more deeply into discipleship, lifting the new life offered in Christ for the world to see? I look forward to seeing how God is calling us to live into these questions. (1) Barbara Brown Taylor in Feasting on the Word, Year B, Vol 2, (Westminster John Knox, Louisville, 2008)page 103. March 15, 2015 in John 3, Numbers 21, snakes on a plain, Trust.